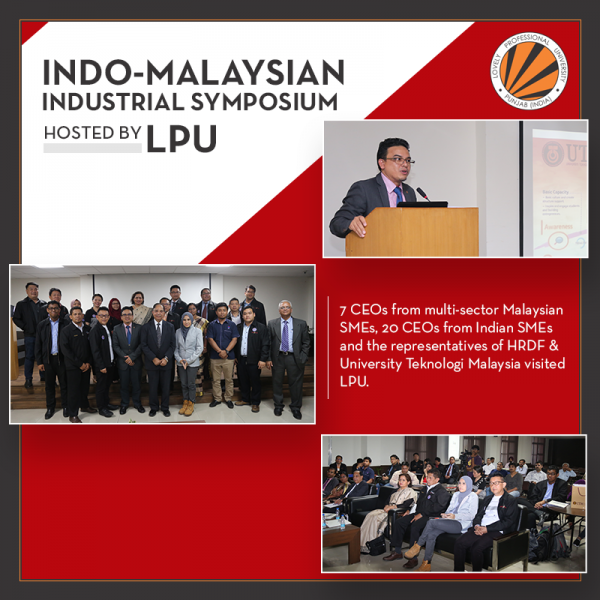 Divisions of International Affairs & Industry Interface of Lovely Professional University (LPU) hosted Indo-Malaysian Industrial Symposium at the LPU campus. 17 CEOs from Malaysian multi-sector Small and Medium Enterprises, representatives of Human Resources Development Fund (HRDF) & University Teknologi Malaysia (UTM) reached LPU Campus. 20 CEOs from Indian SMEs also attended this academia-industry advantage between the two countries. 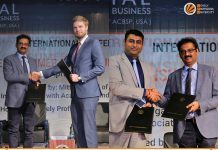 At the event, different valuable sessions and panel discussions for mutual B2B plans and important interactions took place which was advantageous for both sides – India and Malaysia. CEOs from both the countries were keen to work together to produce optimum results. 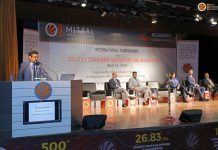 Director, UTM Center for Students, Innovation and Technology Entrepreneurship, Associate Prof Mohd Zaidi cited that “formal education can provide a ‘living’, but informal is to give a fortune”. Explaining about the working of UTM in entrepreneurial and global fields, Director Zaidi said, “This visit to LPU is aimed to develop capable CEOs of SMEs to explore and gain knowledge on entrepreneurship and generate business tools from theory and methodology to applied skills. 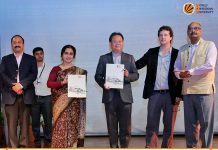 With such a collaborative effort with a university of India ‘LPU‘, this conference is indeed going to improve entrepreneurship skills among SMEs.” Malaysian SMEs and Human Resources Development Fund(Malaysia) have been putting strenuous efforts since 2016 to provide structured learning opportunities to the country’s CEOs. Among the participants at this symposium were CEO Perfect Mix Enterprise Jason Lee; Senior Manager, Business Development SMECorp Roshaidi Rosli; Officer HRDF Mohd Hafiz Mohd Seth; and, CEOs from diverse sectors including Pharmaceuticals, Construction, Academics, Foods, Beverages, Metals and more. LPU Chancellor Mr Ashok Mittal lauded Mr Zaidi and Malaysian CEOs for their resolute efforts in promoting collaborations on a global level for mutual benefits. He also informed the visitors about LPU’s vision, research work and achievements.